I am constantly amazed by the sights that I see as I travel. Whether natural or man-made, whether silently paddling a canoe among the breathtaking beauty of the Amazonian jungle or staring open-mouthed at the majestic sights at Petra, I soak up the history like a sponge. I never take my lifestyle for granted and so far I have not tired of it, but what holds me to a place and keeps it in my heart are the inspirational people that I meet. People who share their stories with me; people who inspire me and people who continue when things get tough – people who are following their dreams with strong determination, no matter what obstacles are thrown at them. I met Rezma in Hanoi, Vietnam. Rezma is a petite bundle of energy who hails from Britain. She set off on her first solo travel at just 18 years of age on a trip to Germany and wanted to explore the world. Coming from a family background which encouraged her to work hard and motivated by her aunt who is a powerful woman and a role model, Rezma threw herself into making her dream become a reality. She worked triple shifts and she sacrificed friendships and relationships whilst taking as much time as she could to travel. Rezma found herself drawn to Vietnam where a growing economy and entrepreneurial chances were good and she took steps to combine her qualifications and her love of travel to invest in a business opportunity. Rezma teamed up with Lily a Vietnamese lady who already owned an established travel agency and Stuart who is from the UK, and between them they purchased a hotel in one of the narrow streets in the Hanoi Old Quarter. The three of them set about converting it to a hostel as quickly as possible; inviting artists to stay for free in exchange for painting eye-catching murals on the walls and they are quickly becoming a force to be reckoned with in the city. Rezma turned up at one of her very first corporate events in Hanoi wearing a bright red dress, only to discover that everybody else had dressed much more conservatively than she had and the event was far more formal than she had been led to believe. Rather than shrinking into a corner, Rezma brushed aside what many may have believed to have been a social error and set out to enjoy the evening. Several months on, business people were still introducing themselves to her, reminded by the impact that she had made in her red dress! In a business which is dominated by men, Rezma had made her mark. They have retained many of the upmarket features from the original hotel yet have added many things which make a great hostel – great showers a chilled social space and good wifi. Rather than being just another new hostel on the block, ‘See you at Lily’s‘ markets itself as a bohemian hostel – it is a place with a difference. Rezma has been profiled in lifestyle magazines and aspires to be a female role model – she herself proves that if you want something badly enough you can usually make it happen. She is passionate that everybody has the chance to follow their dreams. Rezma told me that her philosophy is that we only live once and if you want something you shouldn’t be scared of trying. Figure out a way to make things work, and if they don’t work out to begin with, simply think again and consider a different approach. You have to work hard and you have to make sacrifices but the end result will be a success. Rezma is certainly forging her perfect career and lifestyle. She, along with her business partners train their staff to each offer an exceptional level of customer service at their hostel ‘See you at Lily’s’, and she has plans to continue travelling once the business is stable. As you read this article you may be wondering to yourself, what is so remarkable about Rezma? After all, there are many successful business women and many inspirational female role models. At the time of writing this, Rezma, a British woman, co-owner of a hostel in Vietnam and inspiration to many women – is just 21 years old! Your age, health, class or your background are not barriers to following your dreams. We build our own barriers, telling ourselves that we are not worthy or clever enough or we lack the self-confidence to take things forwards, but the power to clamber over those barriers is in each of us. You may have to work that little bit harder to prove yourself or to get where you want to be, but there are usually solutions. No capital behind you? Work three jobs and temporarily give up your social life as Rezma did. No qualifications? Study, read and learn. Find a mentor or a role model. Can’t decide on one path? 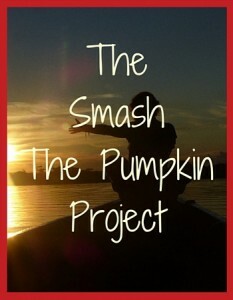 Sign up to the Smash the Pumpkin Project. This programme will help you to identify what it is that makes you sparkle and it will encourage you along the road to self discovery and a fantastic life. Rezma is living her dream in Hanoi. I am living my dream too. 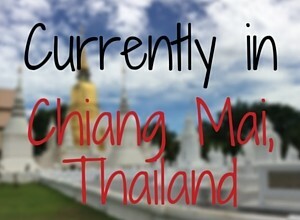 I always wanted to write and to travel. I interviewed Rezma in a cute little coffee shop in Hanoi and then I took the rest of the day off so that I could visit the excellent Women’s Museum. What is preventing you from following your dream? Please leave a comment in the box below and tell me what is holding you or a friend back. If you or a friend signs up to the Smash the Pumpkin Project after deciding that you don’t in fact have any good excuse not to change your life and you have left a comment in the box below, I will give you 40% discount off the course. Smash the myths; live your dream!